It's a simple fact of life: Your closet is never, ever, big enough. Even folks who live in sprawling McMansions with walk-ins the size of your average living room somehow struggle to fit in all of their things. One minute that closet is tidy and pristine, the next it's a dangerous mudslide of personal belongings you can only hope to contain. We're here to help. The first step is to stop shoving everything into your closet haphazardly. (Got it? Good!) Secondly, read the expert-backed tips we've compiled right here. 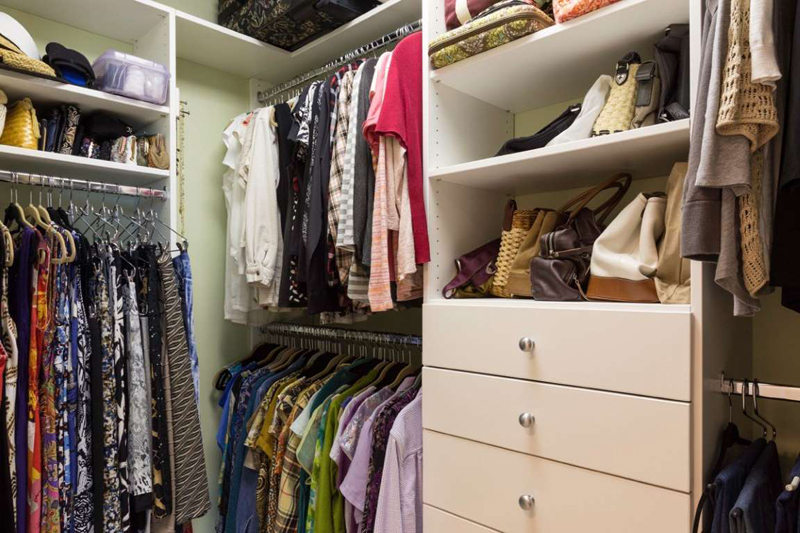 Before you know it, you'll have a closet that even Marie Kondo herself would be proud of. Set aside two days a year for a closet rotation: one in the spring, one in the fall. On these days you’ll move certain weather-appropriate items to the forefront, while storing away the things you won’t need for months. 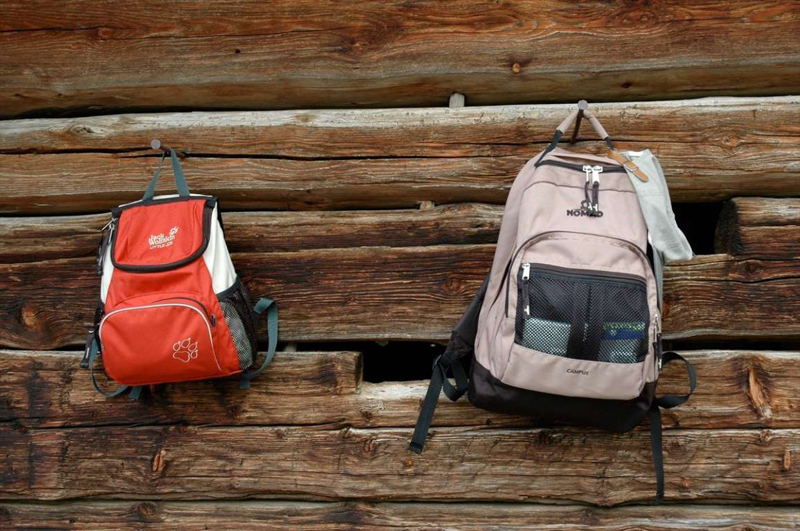 “You can use plastic containers with locking lids to store off-season fashion,” advises Paloma Baillie, a certified coach and professional organizer on 5miles. In the spring, you should stow away heavy items like gloves, sweaters, and coats. And in the fall, you can put away your swimsuits and short-shorts. If you’re a city dweller with only one closet, keep your off-season stuff at the bottom of the closet in bins or high on a shelf. If you’re a homeowner with multiple closets—and even an attic—make sure you’re maximizing those spaces, too. Don’t let your luggage or other bags take up too much prime floor space in your closet or crowd its few shelves. Instead, hang them as high as you can on the wall. That way, they’ll be hovering safely out of reach, but fully ready to come down for any weekend excursion. 3. Never settle for a single rod. If it’s a clothes closet, you should at the very least have two tiers of rods in there (an above rod and a below rod). Instantly, you’ve doubled the amount of clothes you can hang in a single space. But, if it’s possible, consider adding even more, especially if you have a closet with a unique geometric shape that may offer gaps where you can conceivably hang even more rods of a shorter length. Anyone old enough to make their own bed knows that you should keep clean clothes in the closet and dirty clothes in the hamper. But here’s a simple of rule of cleanliness many don’t follow: Don’t keep your hamper in your closet. For one, it takes up too much space on the floor where you can be stacking bins and shoes. 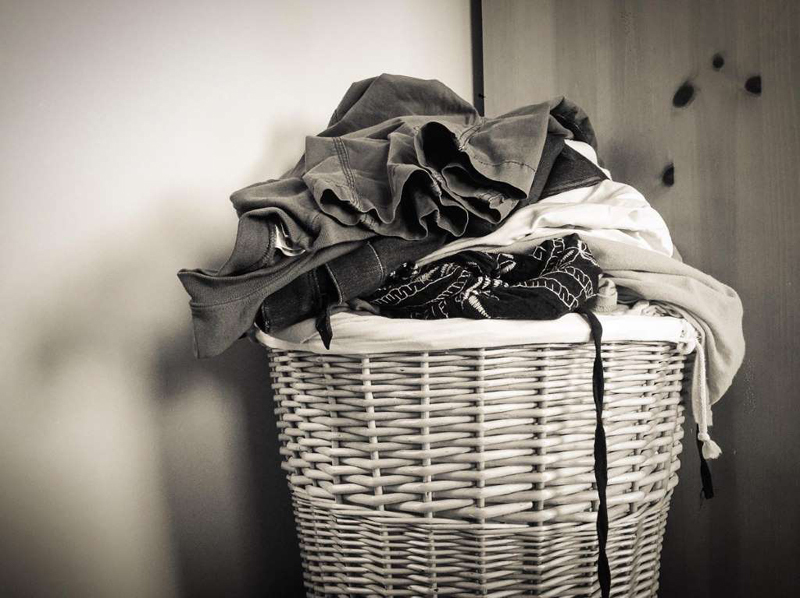 But the reality is that your hamper inexorably invites extra messiness into your life, constantly spilling over with dirty items over time. You don’t want to floor of your closet to become a constellation of dirty underwear and socks. So keep your hamper somewhere else, such as your bathroom or the corner of your bedroom. 5. 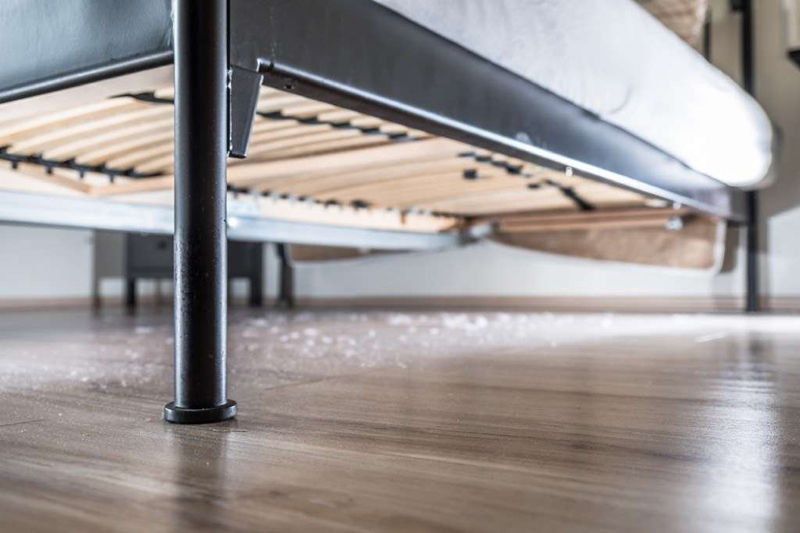 Utilize you under-the-bed space better. That doesn’t mean just shoving items haphazardly under there, though. You’ve gotta choose the right items. For instance, “when you don’t need sweaters or blankets, flatten them in a vacuum storage bag and slide it under the bed,” says Baillie. 6. Use soda tabs to stack hangers. Soda tabs are a surprisingly useful storage item for the closet. 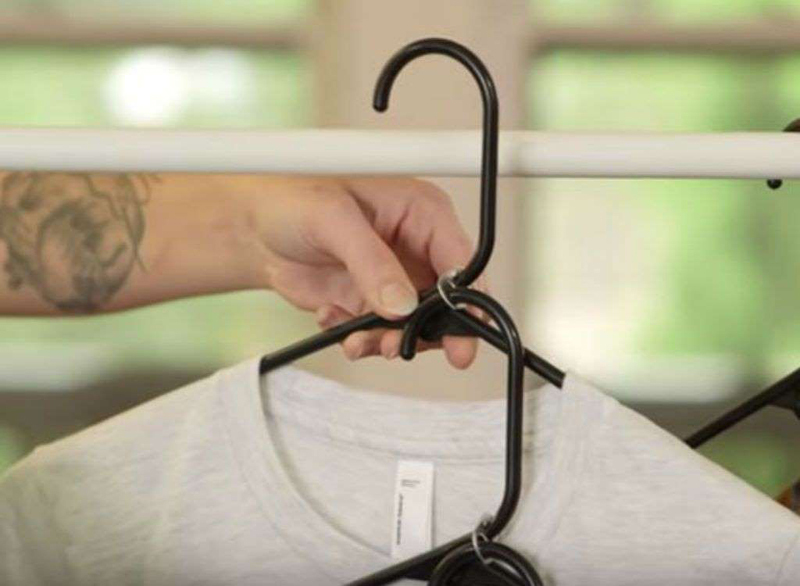 Using this video tutorial, you can easily transform the minuscule pieces of metal into hooks that turn a single hanger into two. It’s a fundamental rule of organizing properly: If you’re stacking anything that you wouldn’t use in your kitchen—like, say, sweaters, pants, bathing suits, beach towels, etc.—you’re better off stacking them in plastic bins. Not only do these bins fit together well and save space, but also they’ll preserve and protect your clothing. Bonus: their transparency makes it always easy to find what you’re looking for. 8. 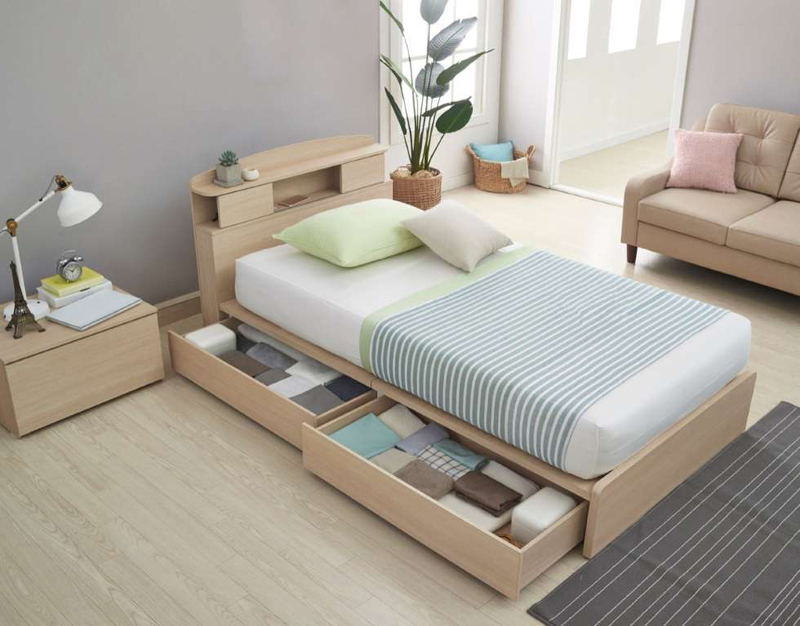 Buy a bed with built-in storage space. “When you no longer have any space in your closets, you can add to the storage options in your home by adding storage into your furniture,” suggests the team over at Oz Moving & Storage. One of the best ways to do this is to invest in a bed that comes equipped with its own drawers. 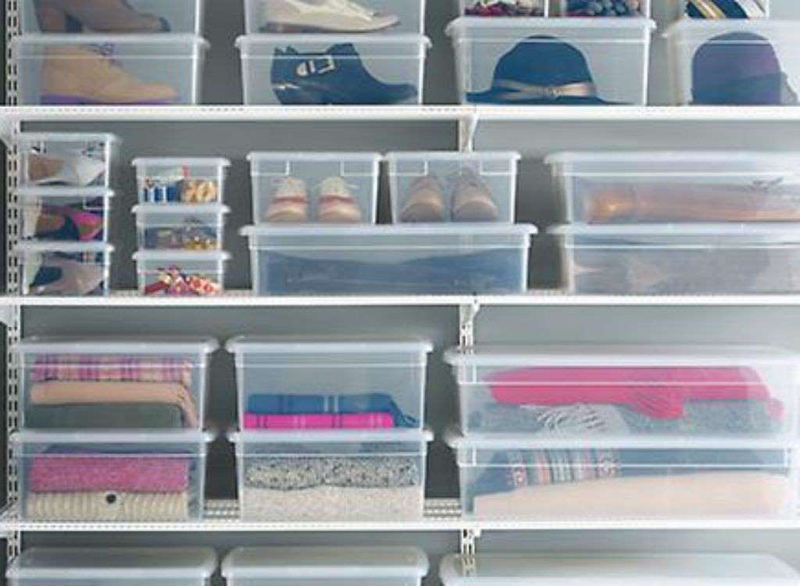 Instantly, you’ve bought yourself several more square feet of storage with easy access. Win! 9. 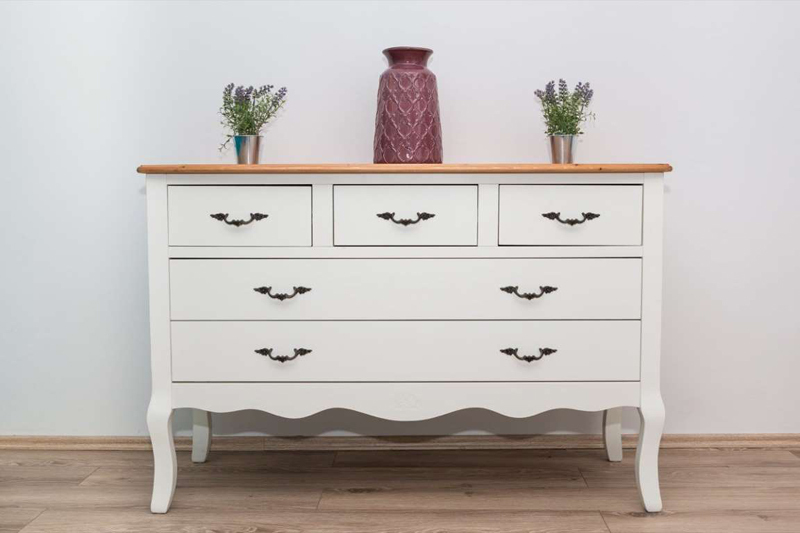 Buy a separate armoire for bulky items. 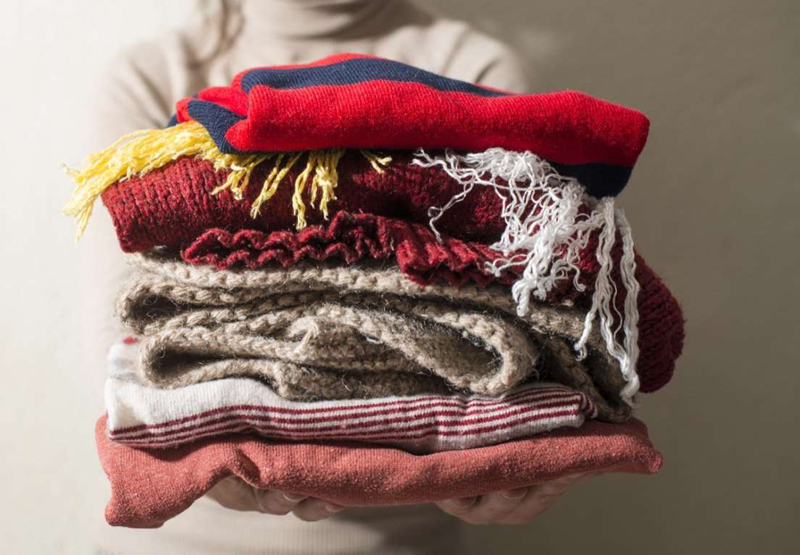 For bulkier items such as big sweaters, consider clearing up closet space and storing them in a dresser or armoire. 10. Store vertically whenever possible. “Look for vertical storage solutions to ensure all space available is being utilized,” says the Oz Moving & Storage team. 11. 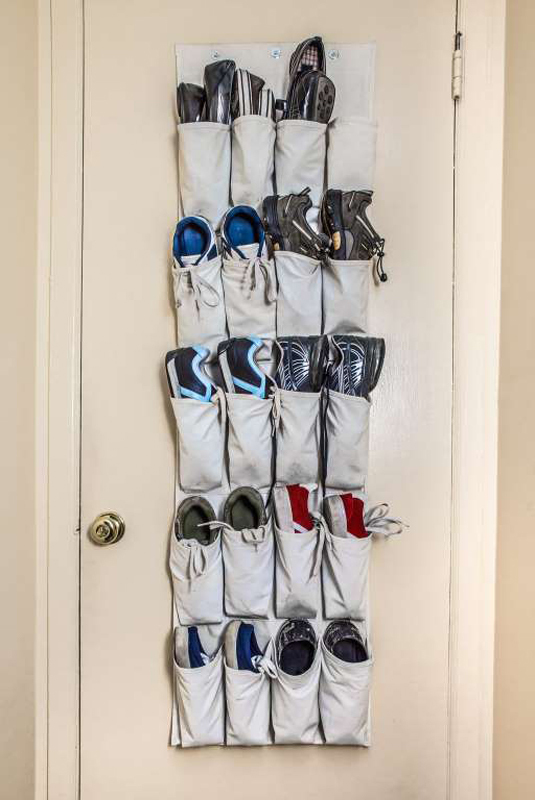 Repurpose an old ladder for shoe storage. It doesn’t take much to transform an old ladder into a handy shoe storage unit. 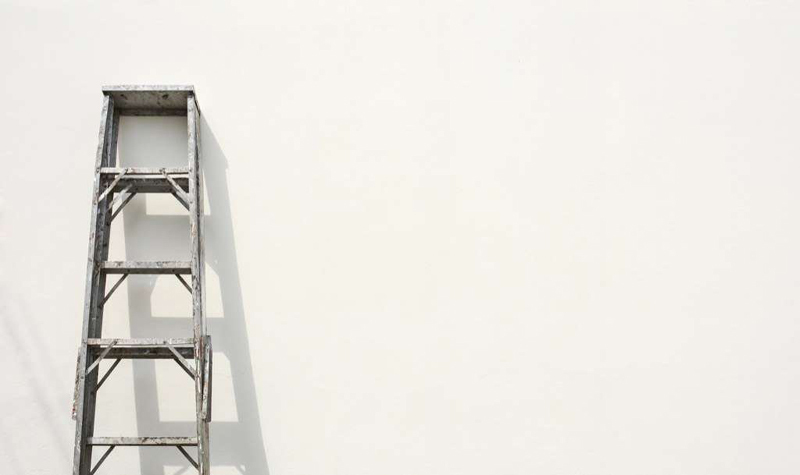 In fact, if you don’t mind how your ladder looks, then all you have to do is place it somewhere in your room, put your shoes on it, and voila: storage! 12. Buy a clothes rack. If all else fails and you really can’t make room in your closet, then there’s always the option to buy another clothes rack. If you look through Pinterest, you’ll find that bloggers and interior designers have actually found ways to either disguise these racks with curtains or incorporate them creatively into the decor! 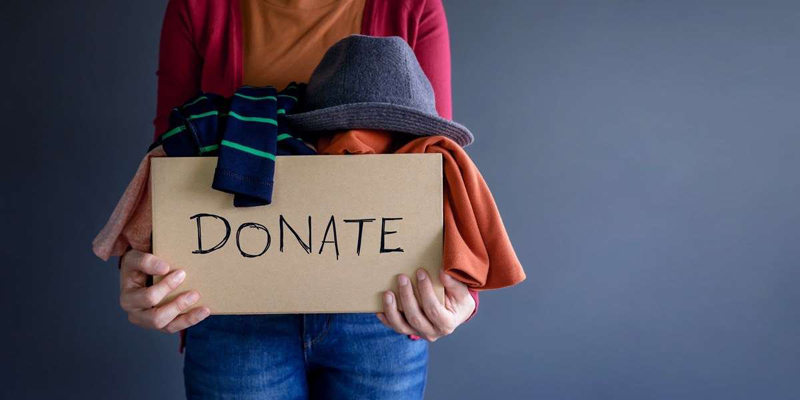 If there’s one thing Marie Kondo has taught us, it’s that most of us have tons of clothing and other wares that are simply outdated and we never use anymore. So consider clearing out the entire closet and going through each item to see which ones you actually want to keep. Just don’t forget to thank the items you’re tossing.